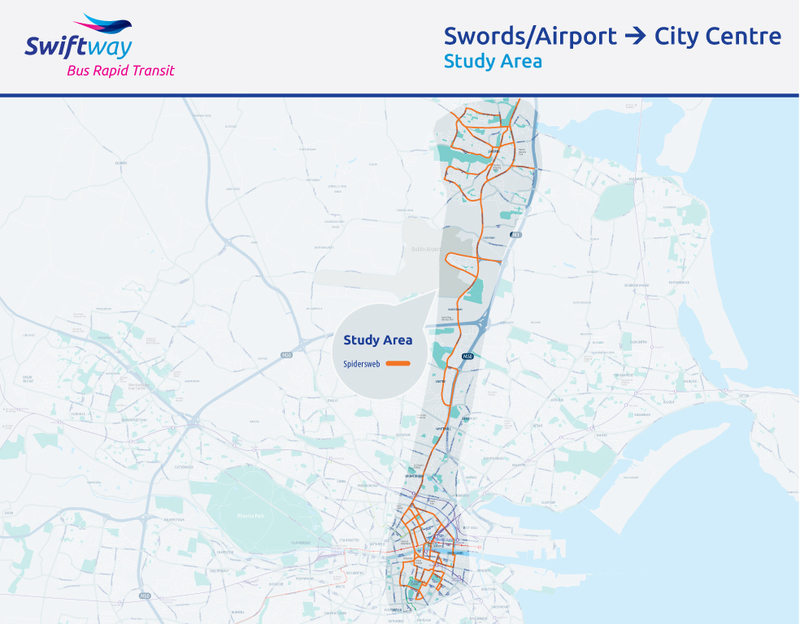 This scheme is intended to serve the busy corridor between Swords and the City Centre, with 24 stops at key locations along the route and a potential three additional future stops identified. 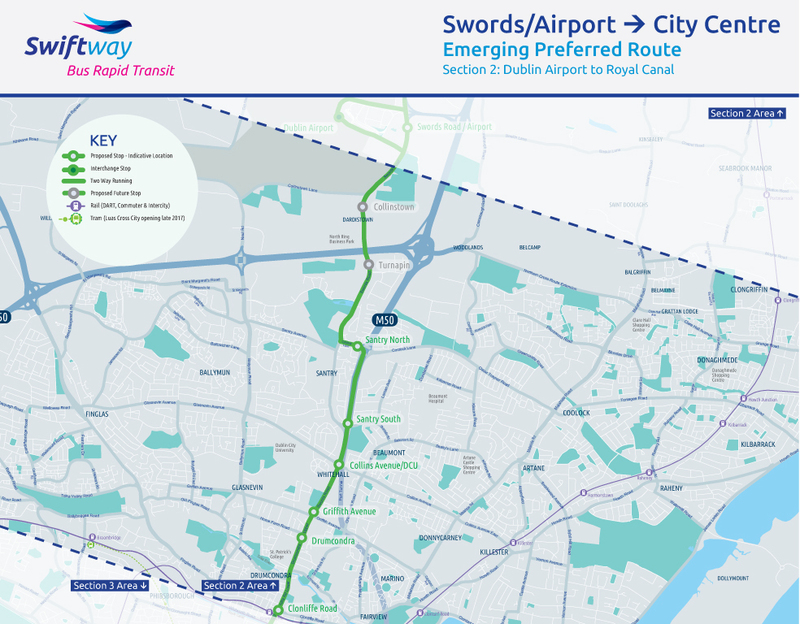 The proposed service starts north of Swords on the Rathbeale Road, close to its junction with Glen Ellan Road. 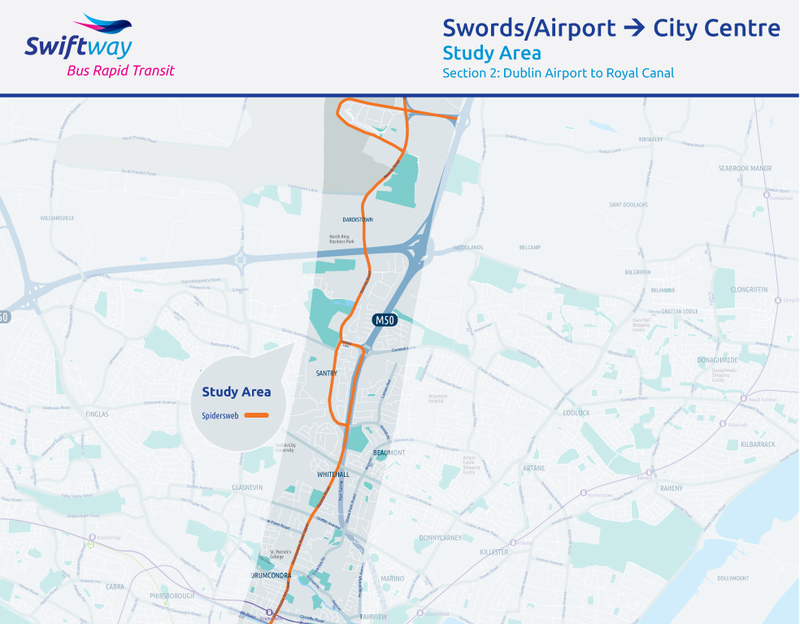 From Pine Grove Park it travels on a BRT only link to Broadmeadow Road and onto Castlegrange Green, before connecting to Estuary Roundabout on the R132. 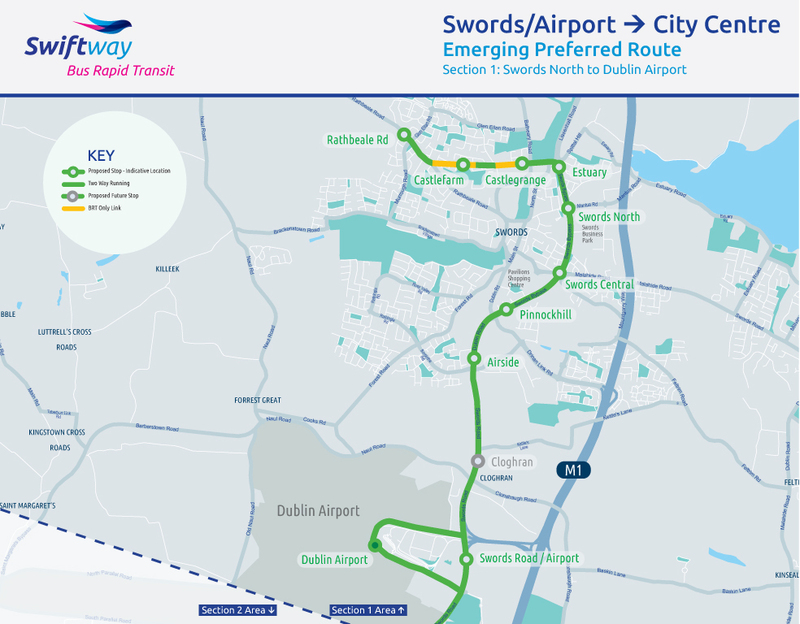 The route then follows the R132, along the Swords Bypass and the Dublin Road, serving Dublin Airport before turning east onto Coolock Lane in Santry. 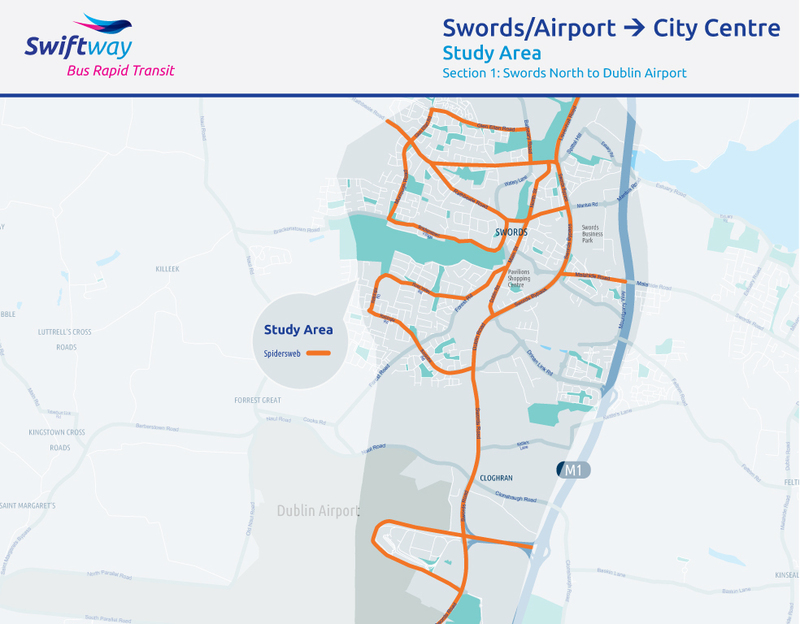 From Coolock Lane Roundabout it travels southwards to a “Santry South” stop at Shantalla Road, which will serve areas of Beaumount as well as south Santry. 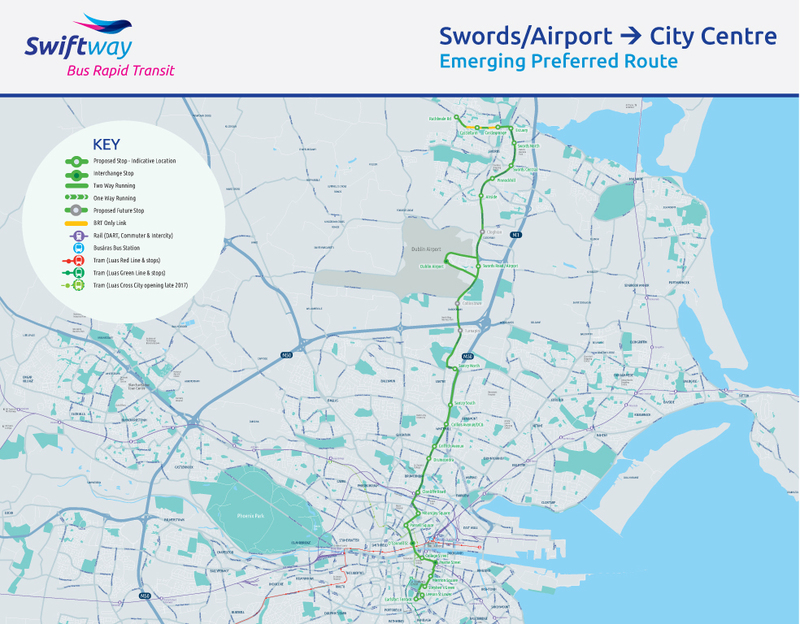 The scheme continues southwards along the Swords Road, Drumcondra Road and Dorset Street Lower, before turning onto Belvidere Road and onwards to Mountjoy Square. 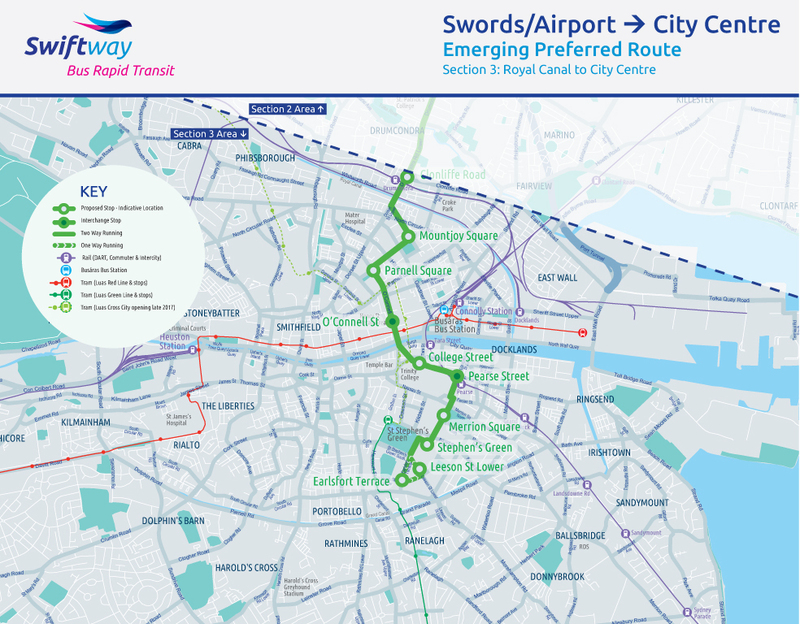 The service then routes through Denmark Street Great and turns south to travel through O’Connell Street. 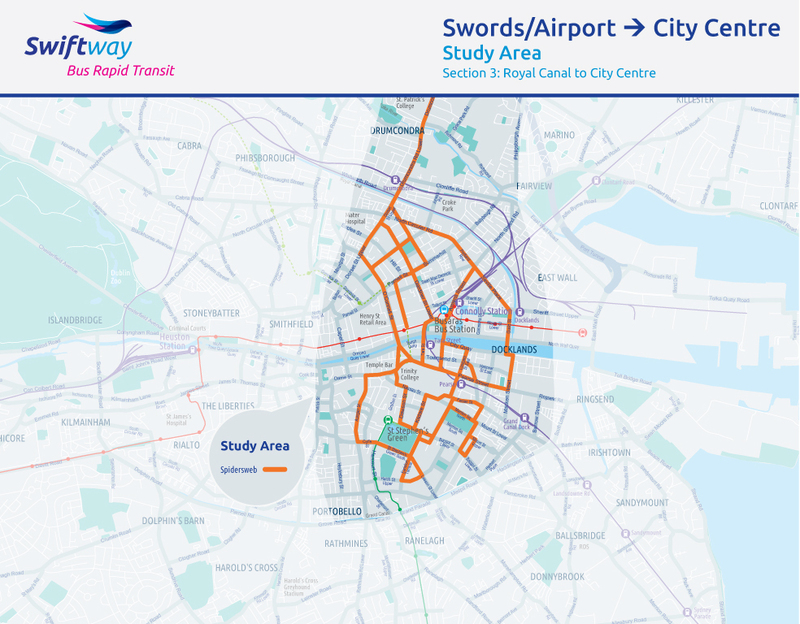 South of the River Liffey, the scheme operates along D’Olier Street and Pearse Street, with contraflow BRT/ Bus lanes provided on these streets, before turning into Westland Row and onwards to Merrion Square West. Travelling through Ely Place, Hume Street and St. Stephen’s Green East, the scheme terminates with stops located at Earlsfort Terrace and Leeson Street Lower.